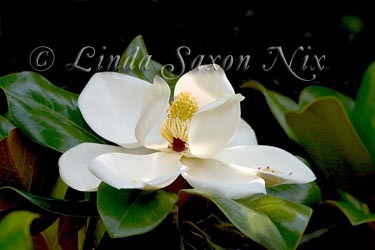 Showcased on this page are the magnolias that are captured in bloom the first year after Hurricane Katrina devastated the Gulf Coast. 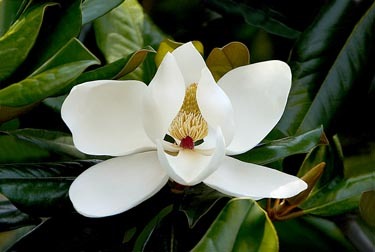 This page pays tribute to the many magnolia trees that were killed during Hurricane Katrina on the Mississippi Gulf Coast, and honors those that survived and grew. 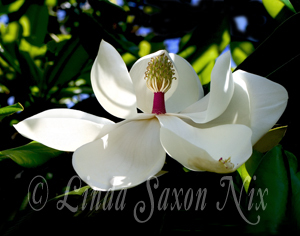 Magnolias are majestic and strong trees. They are the oldest tree specimen known to man and will be here for centuries to come. 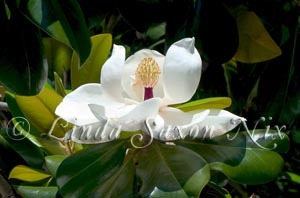 It is my pleasure to present some of the prettiest Katrina Magnolia blossoms. Images © 1999-2007 by Linda Saxon Nix. Full blossom almost open, awakening to full beauty. 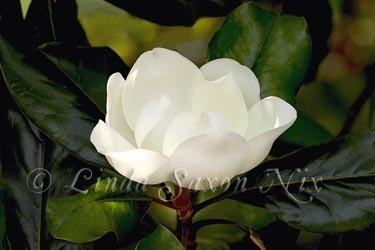 Sunlight strikes the center of this magnolia, depicting hope and expectation. Emerging from the darkness like the world in the Renaissance from the dark ages, this magnolia promises a renaissance of the Gulf Coast. 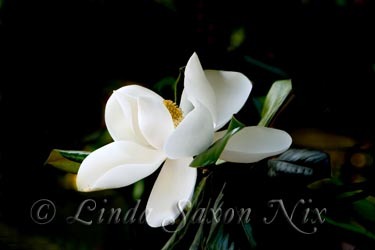 This beautiful blossom is named after the gracious lady and friend whose magnolias I've photographed on several occasions, and did again the year of Katrina Magnolias. Another Katrina Magnolia sitting beautifully amid fresh, green leaves. Quite unusual. after the devastation comes restoration. In the window is a perfect magnolia center. Larger sizes available by custom order. (Copyright 1997 - 20010 by Linda Saxon Nix).